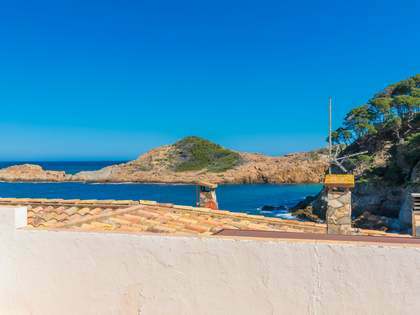 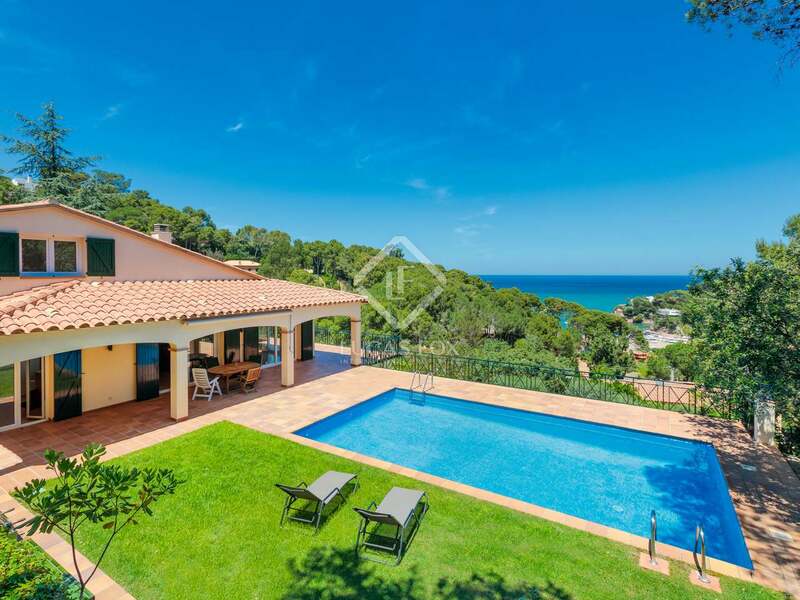 Detached villa with exceptional sea views for sale 3 minutes from Sa Riera beach on the beautiful Costa Brava. 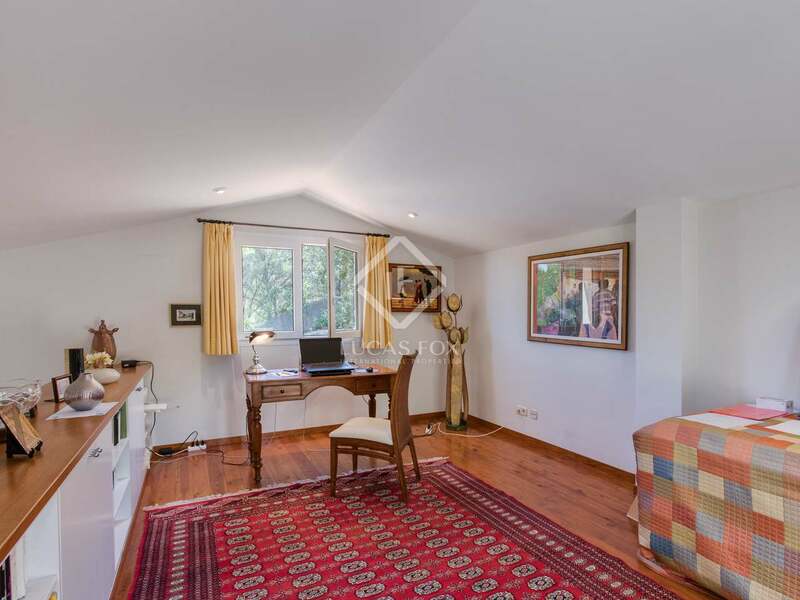 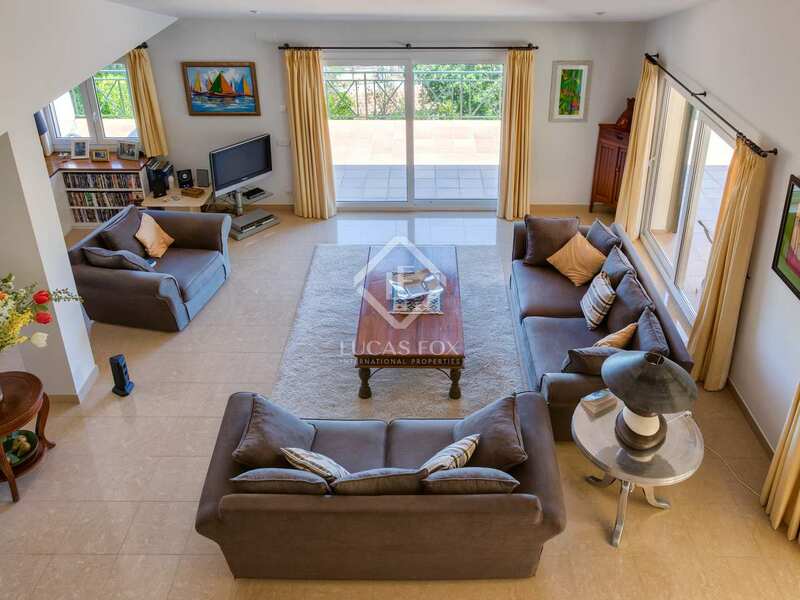 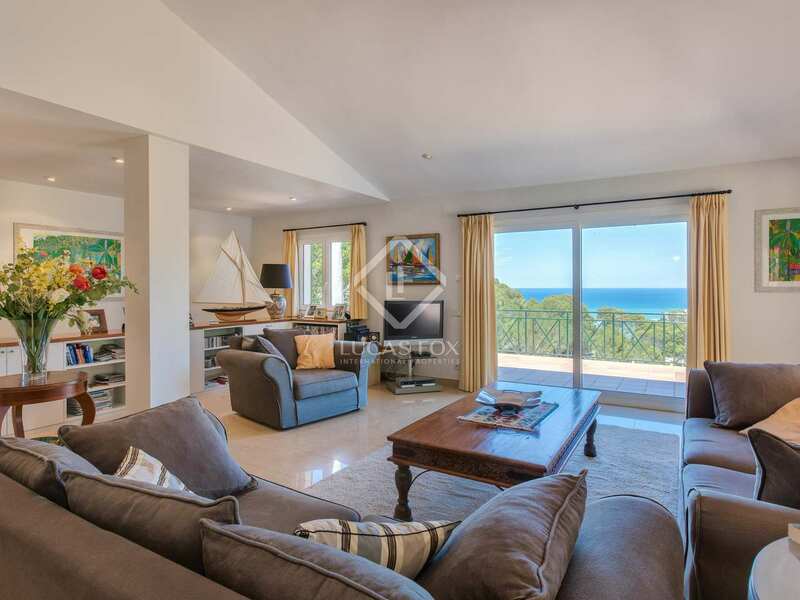 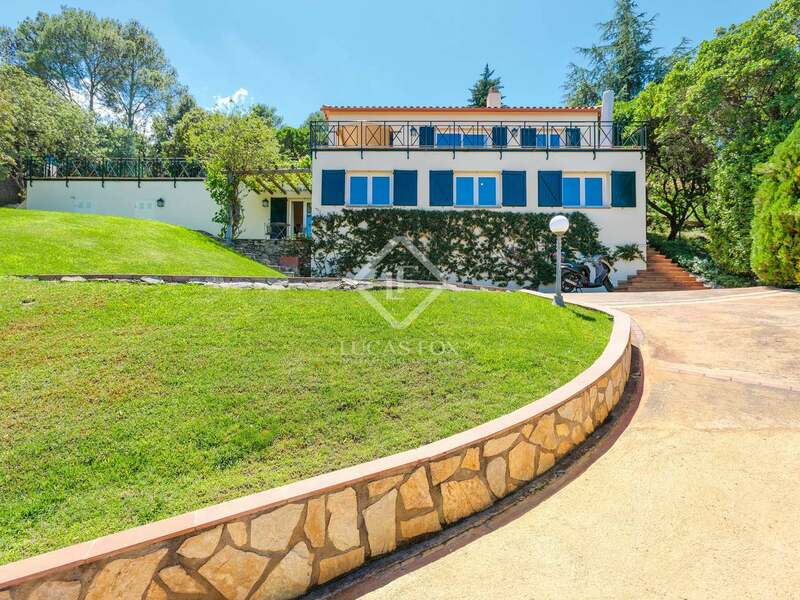 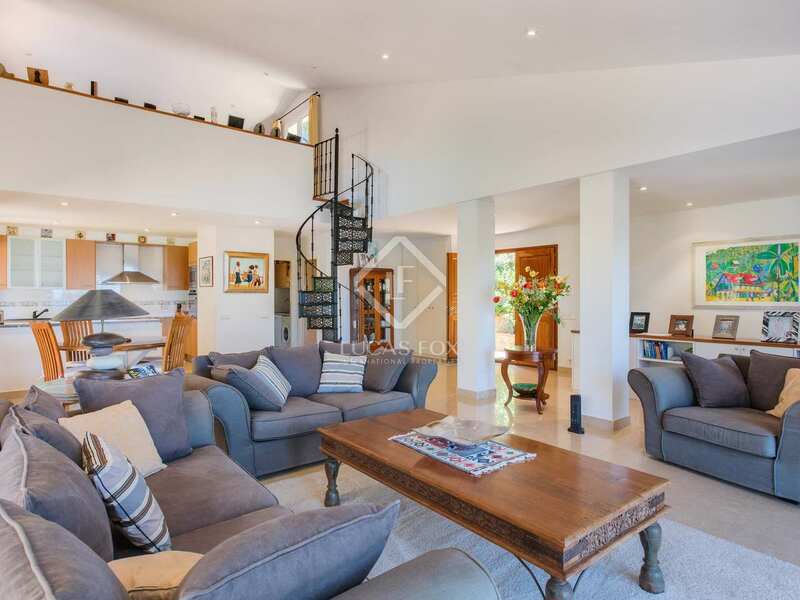 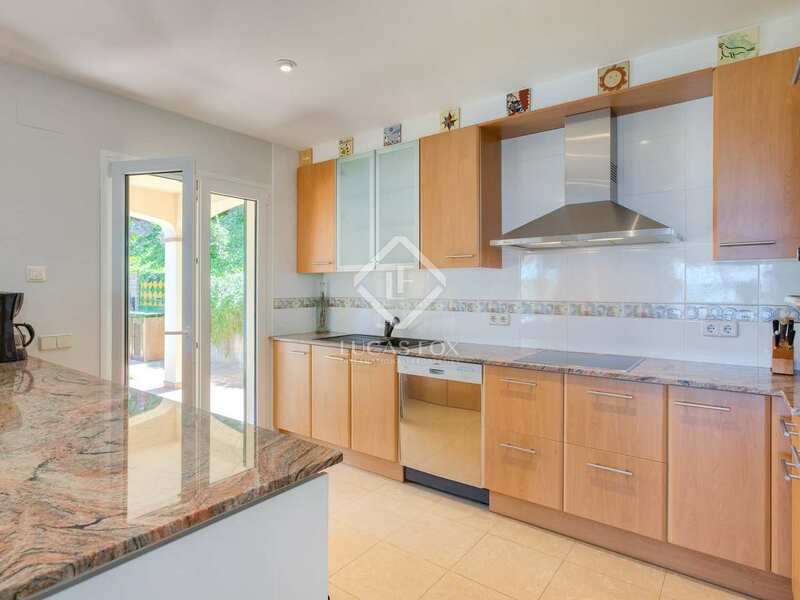 This detached house stands in a privileged hilltop setting overlooking the Mediterranean Sea. 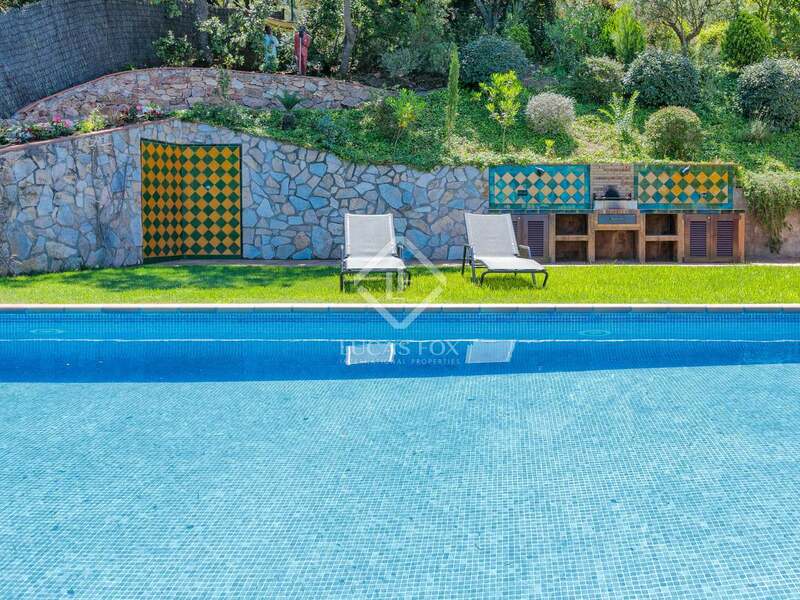 On a plot of over 1,400m², the property boasts excellent outdoor space including a well-maintained garden and swimming pool, perfect for enjoying the enviable climate. 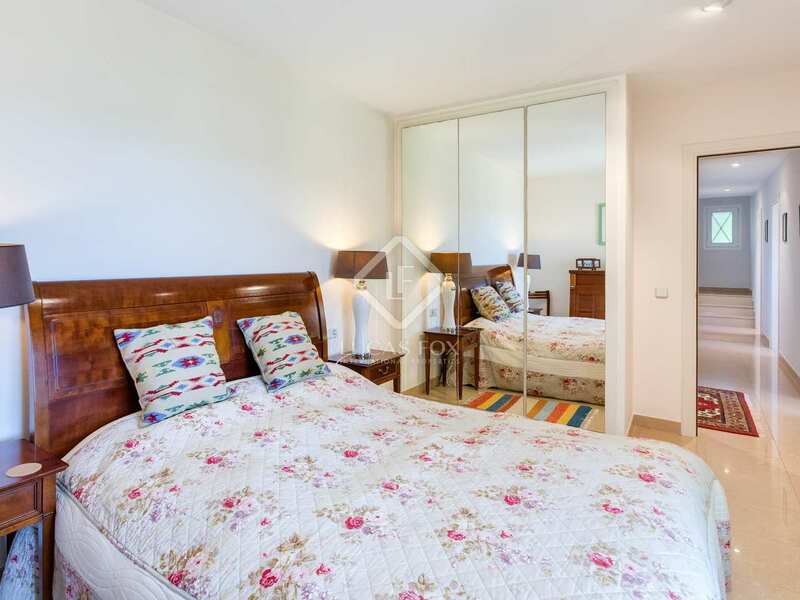 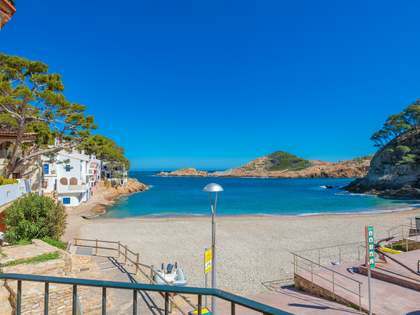 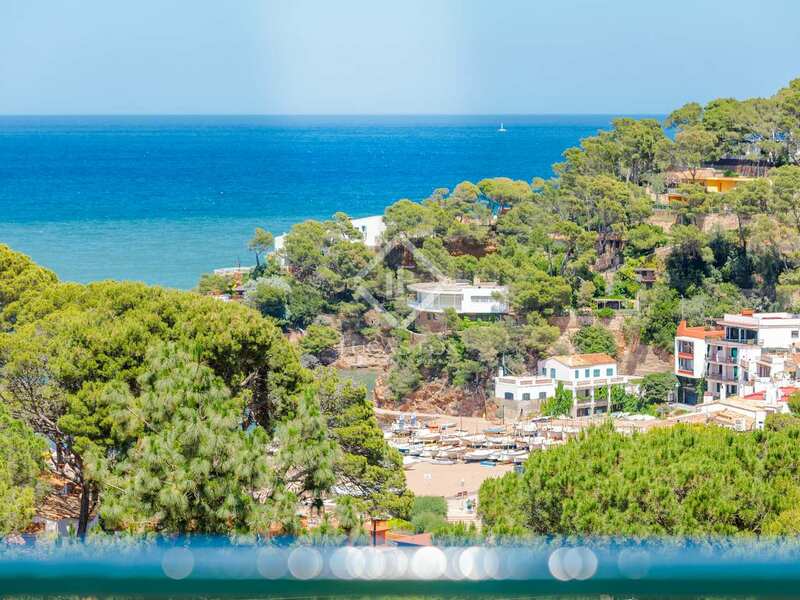 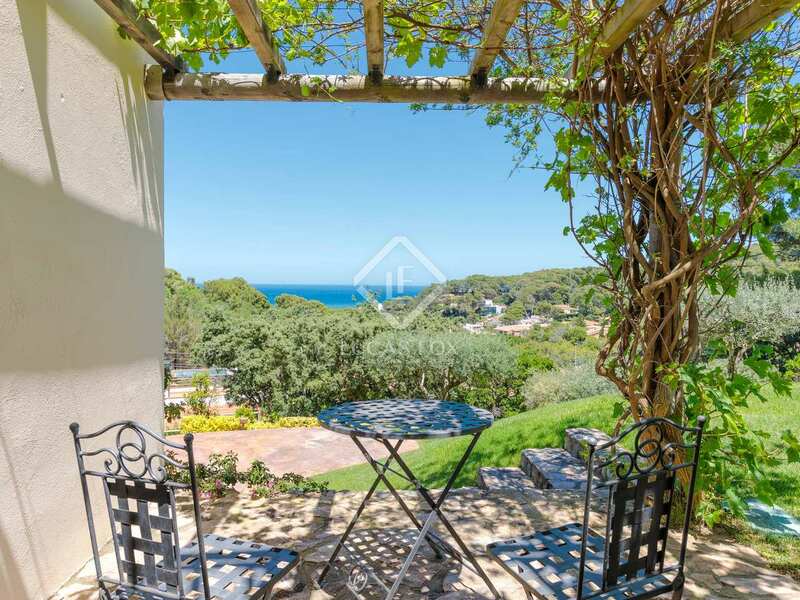 Furthermore, Sa Riera beach is just a 3 minute walk away and the centre of Begur, offering a wide range of services, shop and restaurants, can be reached by car in 5 minutes. 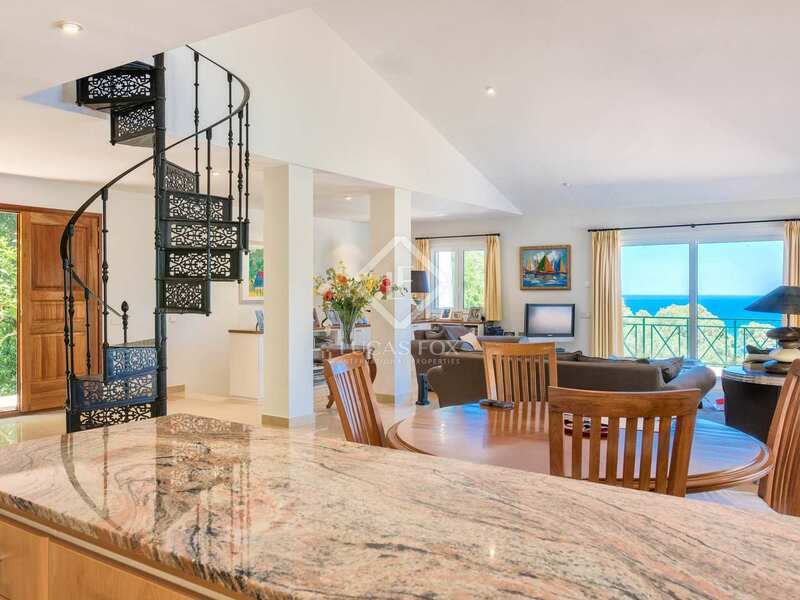 Distributed across 3 floors, on the main floor we find the spacious living-dining area with an open, modern and fully-equipped kitchen. 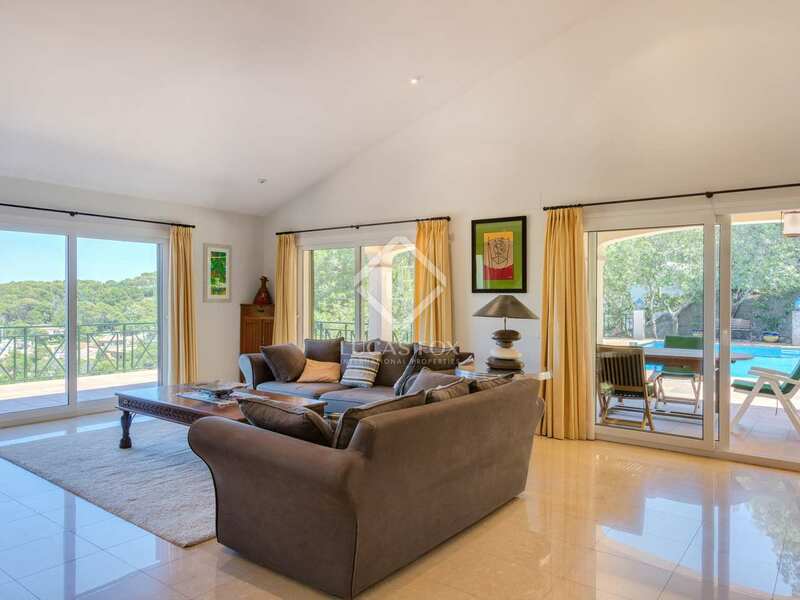 With doors opening onto the terrace, the space is filled with abundant natural light throughout the day. 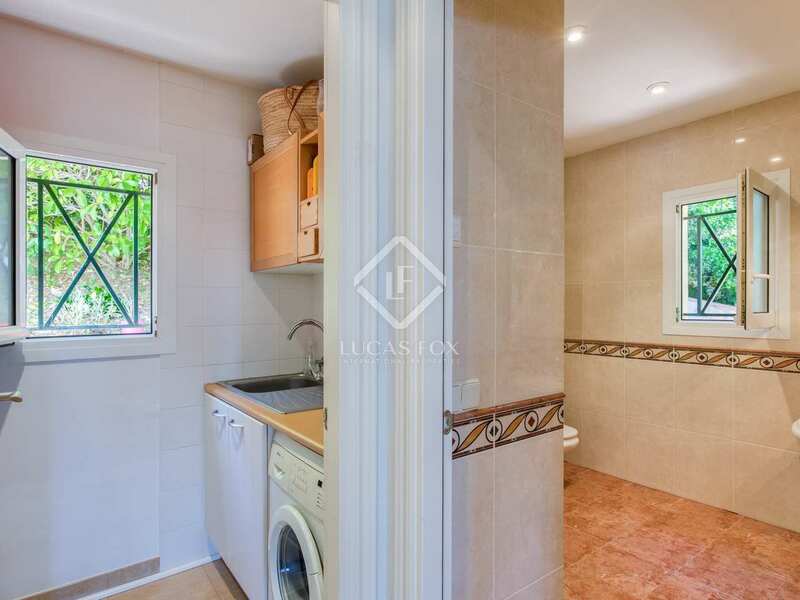 There is also a guest bathroom and utility room on the main floor. 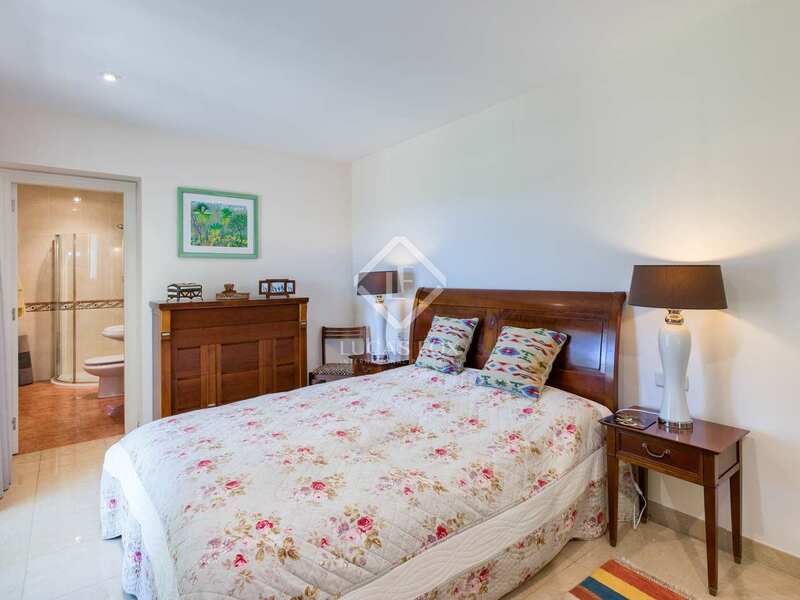 The 4 bedrooms are located on the lower floor of which 1 has an en-suite bathroom and 3 share 2 further bathrooms. 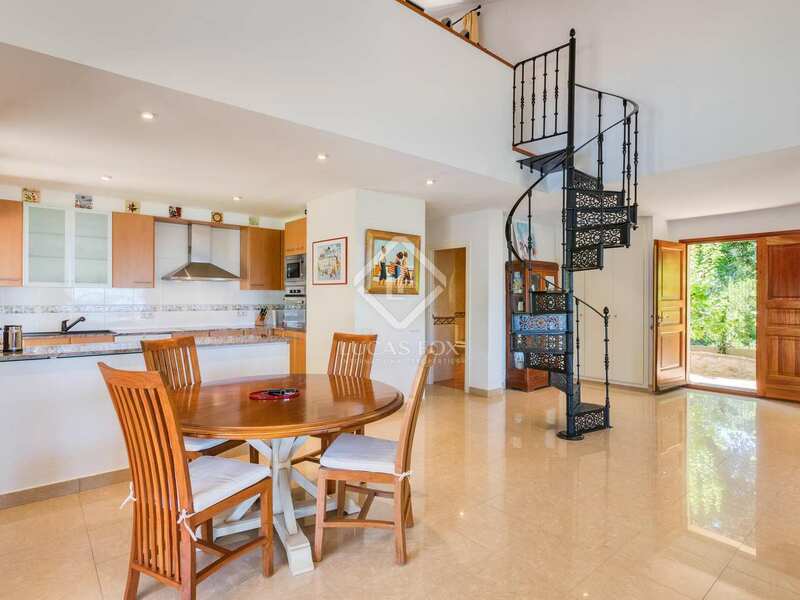 A spiral stairclase leads to the upper floor where there is an office with a balcony. 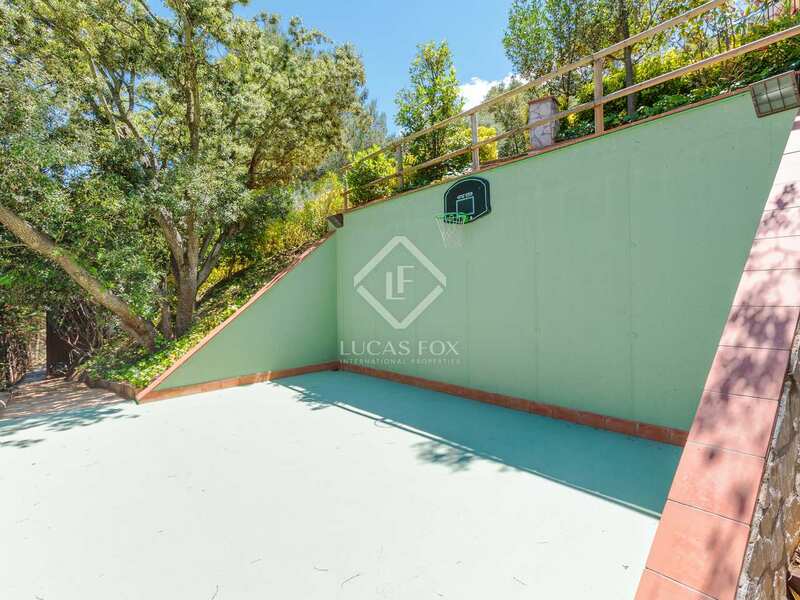 Outside, in addition to the gardens with trees, swimming pool and terraces, there is a garage for 2 cars. 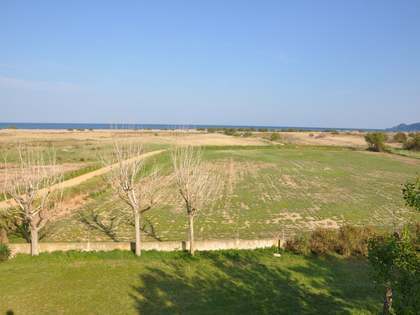 This property would make an excellent family home or second residence by the sea. 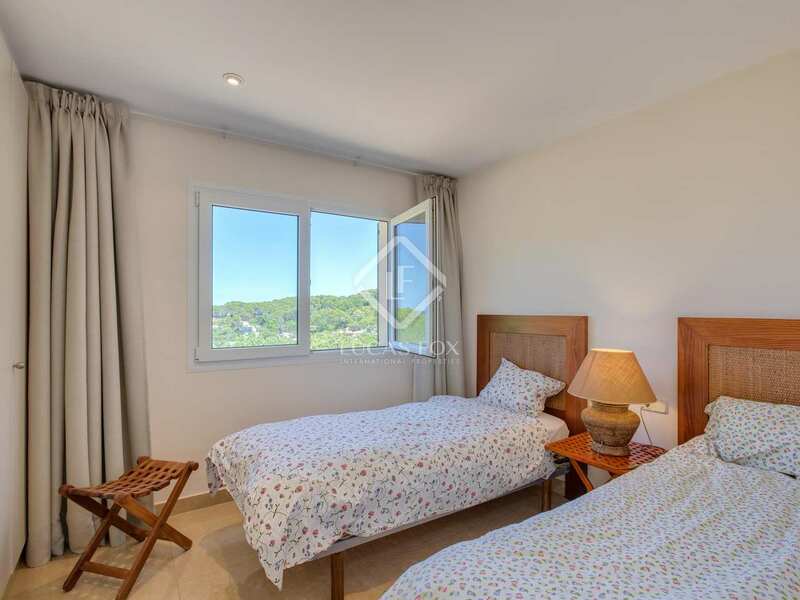 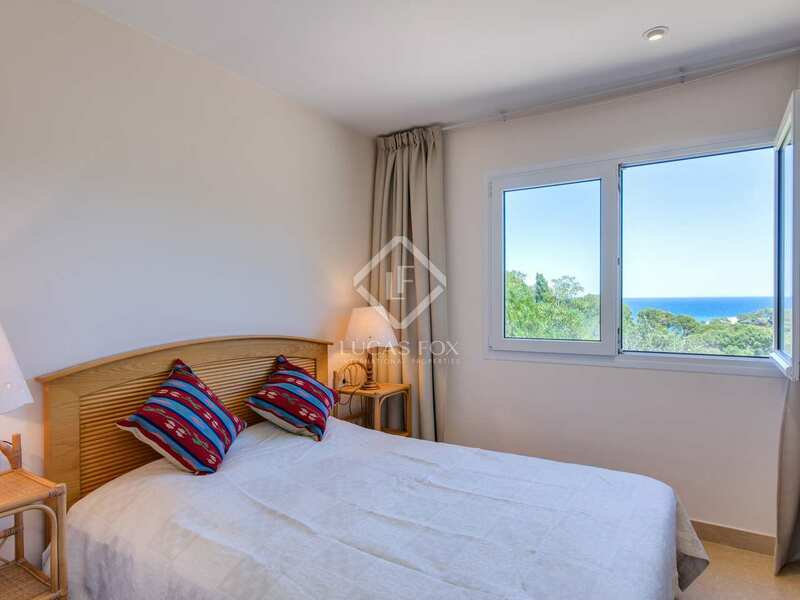 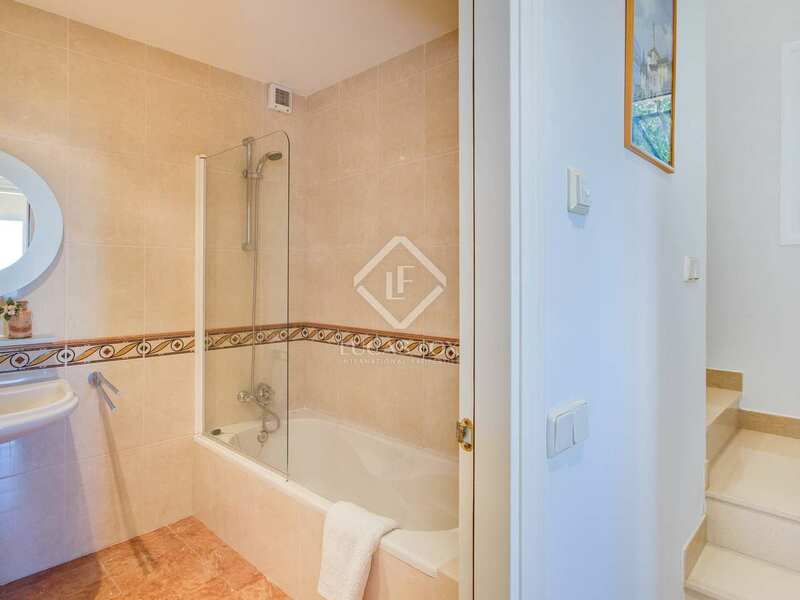 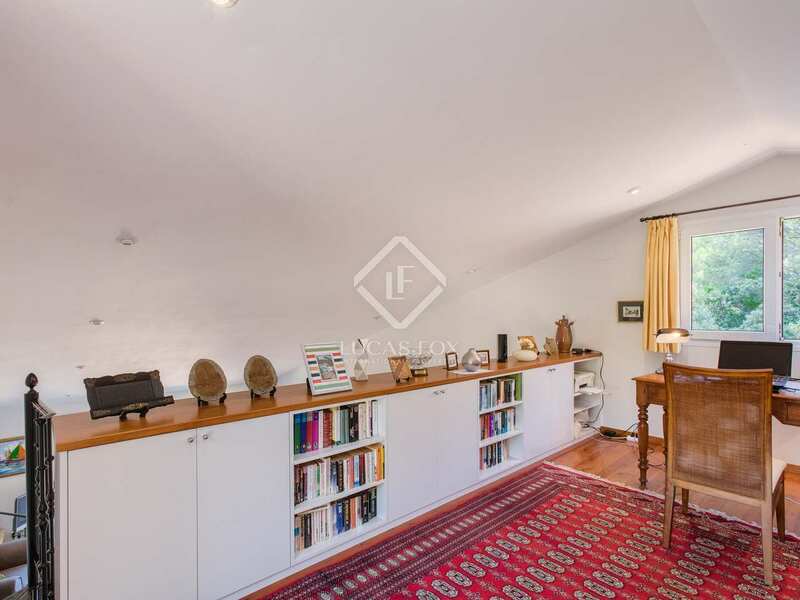 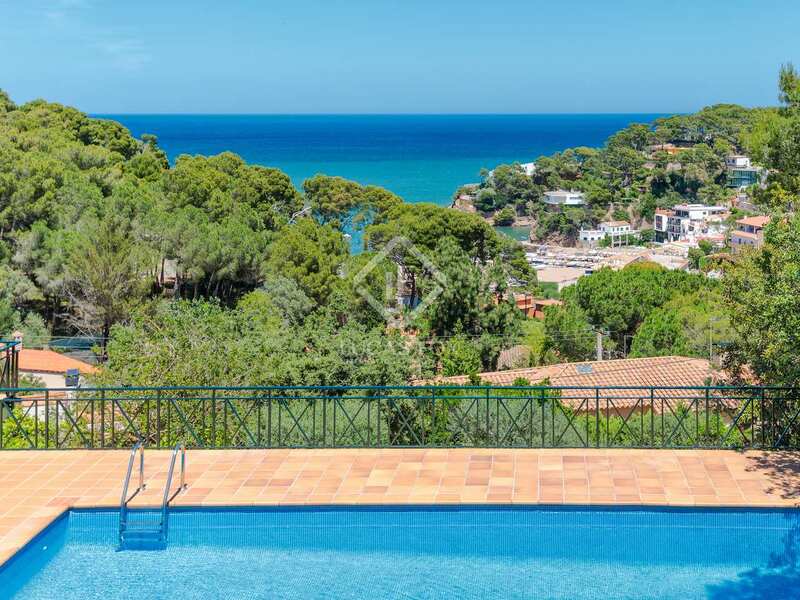 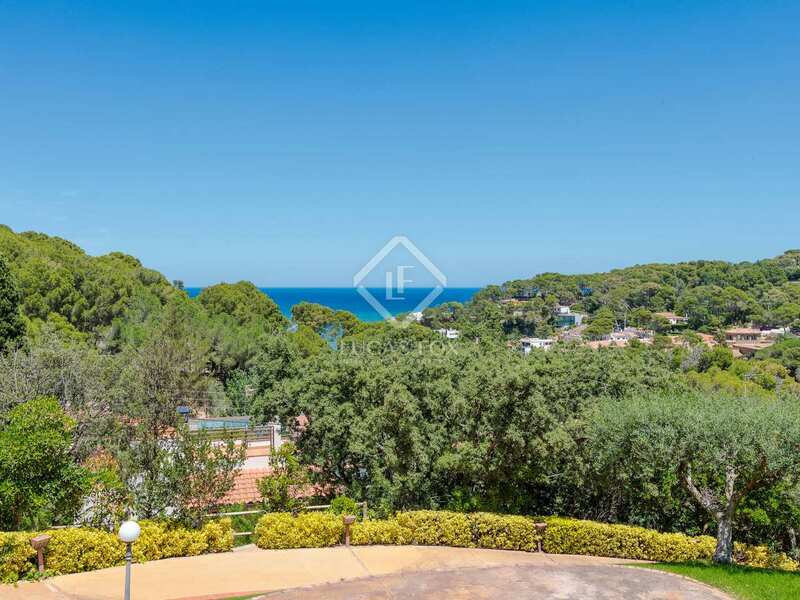 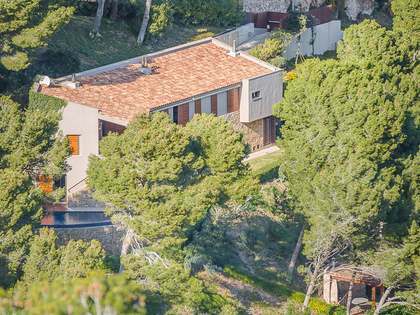 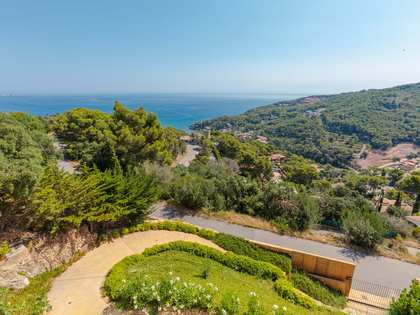 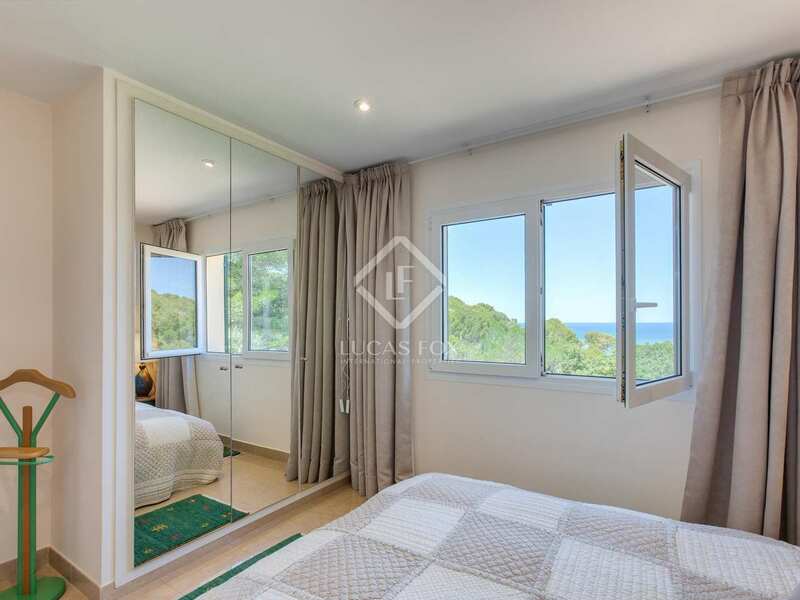 It would also be an interesting opportunity for investors; its location close to the beach and the centre of Begur, not to mention the fabulous views, make it a desirable rental option. 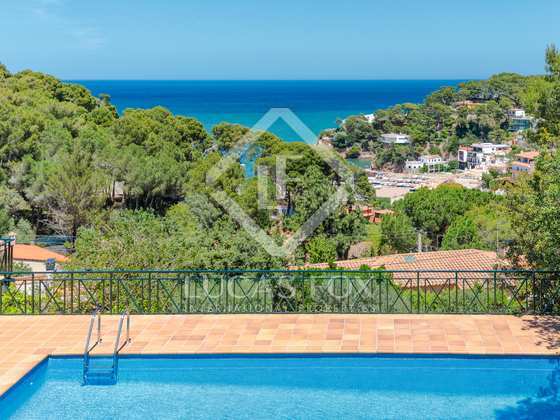 Property located in a hillside location overlooking the Mediterranean and just 3 minutes on foot to the beach of Sa Riera. 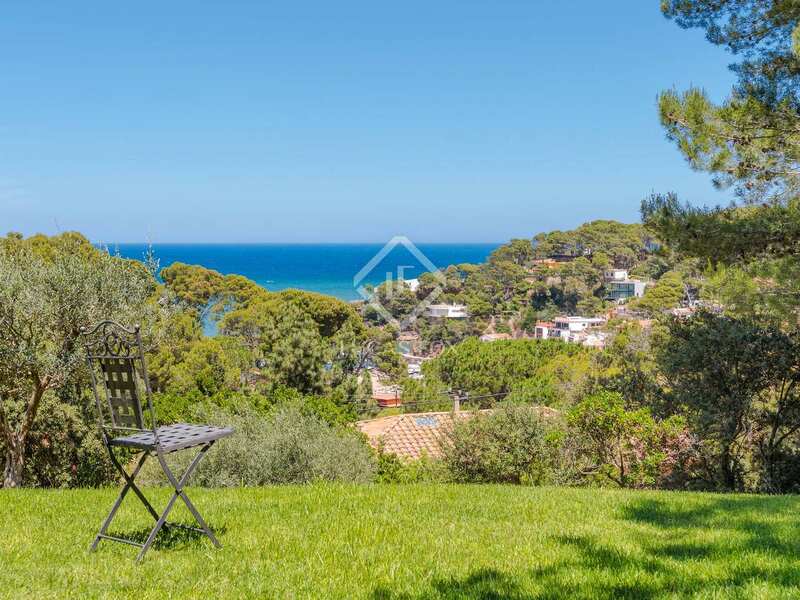 The centre of Begur can be reached by car in 5 minutes where there is a wide range of shops, services, schools and restaurants.